Pre-flight -This portion of the flight starts on the ground and includes flight checks, engine startup, push-back from the apron parking position and taxi to the runway. Take-off - The pilot powers up the aircraft and speeds down the runway. Approach - The pilot aligns the aircraft with the designated landing runway with the guidance of ground equipment. Although airport tower or terminal controllers watch over all planes traveling through the airport’s airspace, their main responsibility is to organize the flow of aircraft in and out of the airport. Relying on radar and visual observation, they monitor each plane to ensure a safe distance between all aircraft and to guide pilots between the hangar or ramp and the end of the airport’s airspace. In addition, controllers keep pilots informed about changes in weather conditions such as wind shear—a sudden change in the velocity or direction of the wind that can cause the pilot to lose control of the aircraft. During arrival or departure, a controller direct each plane. As a plane approaches an airport, the pilot radios ahead to inform the terminal of its presence. 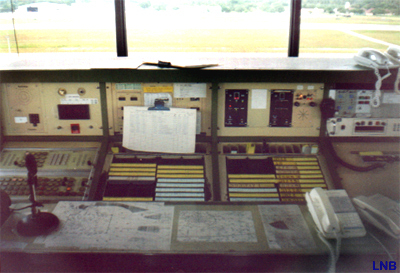 The controller in the radar room, just beneath the control tower, has a copy of the plane’s flight plan and already has observed the plane on radar. If the path is clear, the controller directs the pilot to a runway; if the airport is busy, the plane is fitted into a traffic pattern with other aircraft waiting to land. But this is hardly observed in Bandaranaike International Airport because of the small number of aircraft movement. As the plane nears the runway, the pilot is asked to contact the tower and the controller, who also is watching the plane on radar, monitors the aircraft the last mile or so to the runway, delaying any departures that would interfere with the plane’s landing. Once the plane has landed, a ground controller in the tower directs it along the taxiways to its assigned parking point. The tower air traffic controller usually works entirely by sight, but may use radar if visibility is very poor. The procedure is reversed for departures. The aerodrome controller directs the plane to the proper runway and then informs the pilot about conditions at the airport, such as weather, speed and direction of wind, and visibility. The controller also issues runway clearance for the pilot to take off. Once in the air, the plane is guided out of the airport’s airspace by the departure controller (which is called Director in Sri Lanka). After each plane departs, airport tower controller notifies Director controllers who will next take charge and consequently to the area controlled center. 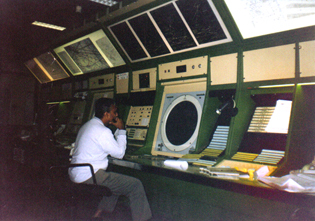 To prepare for planes about to enter the Sri Lanka’s airspace, the radar controller organizes flight plans. If two planes are scheduled to enter the Sri Lanka’s airspace at nearly the same time, location, and altitude, ATC may arrange with the preceding control unit for one plane to change its flight path. As a plane approaches a one’s airspace, the radar controller accepts responsibility for the plane from the previous controlling area. The controller also delegates responsibility for the plane to the next controlling area when the plane leaves the airspace. Radar controllers warn pilots about nearby planes, bad weather conditions, and other potential hazards. Two planes on a collision course will be directed around each other. If a pilot wants to change altitude in search of better flying conditions, the controller will check to determine that no other planes will be along the proposed path. As the flight progresses, the ATC responsible for the aircraft notifies the area control center in charge and vice versa. Through coordination, the plane arrives safely at its destination. Both area and approach controllers sometimes control several planes at a time; often, they have to make decisions about completely different activities. For example, a controller might direct a plane on its landing approach and at the same time provide pilots entering the airport’s airspace with information about conditions at the airport. But the situation in Sri Lanka is fairly easy as number of landings and arrivals are accounted to 30 to 40 a day. While instructing these pilots, the controller also would observe other planes in the vicinity, such as those in a holding pattern waiting for permission to land, to ensure that they remain well separated. Currently, the FAA is in the midst of developing and implementing a new automated air traffic control system. As a result, more powerful computers will help controllers deal with the demands of increased air traffic. Some traditional air traffic controller tasks—like determining how far apart planes should be kept—will be done by computer. Present separation standards call for a 2,000-foot vertical spacing between two aircraft operating above 29,000 feet and flying the same ground track. With the aid of new technologies, the FAA will be able to reduce this vertical separation standard to 1,000 feet. Improved communication between computers on airplanes and those on the ground also is making the controller’s job much easier. 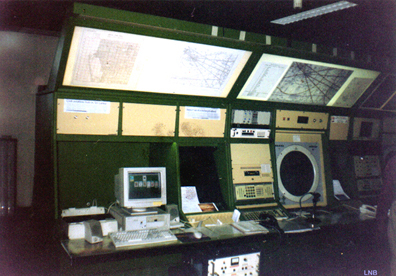 At present controllers sit at consoles with green/amber glowing screens that display radar images generated by a computer. In the future, controllers will work at a modern workstation computer that depicts air routes in full-color on a 20- by 20-inch screen. The controllers will select radio channels simply by touching on-screen buttons instead of turning dials or switching switches. The new technology will also enable controllers to zoom in on selected corners of the air space that is their responsibility and get better images of moving traffic than is possible with today’s machines. However, the new automated air traffic control system will not be fully operational until at least 2003. The FAA is also considering implementing a system called "free flight" which would give pilots much more freedom in operating their aircraft without the interaction of Air Traffic Controllers. The change will require new concepts of shared responsibility between controllers and pilots. Air traffic controllers will still be central to the safe operation of the system, but their responsibilities will eventually shift from controlling to monitoring flights. At present, controllers assign routes, altitudes, and speeds. Under the new system, airlines and pilots would choose them. Controllers would intervene only to ensure that aircraft remained at safe distances from one another, to prevent congestion in terminal areas and entry into closed airspace, or to otherwise ensure safety. Today’s practices often result in planes zigzagging from point to point along corridors rather than flying from city to city in a straight line. This results in lost time and fuel. However, it may be several years before a free flight system is implemented, despite its potential advantages. For the system to work, new equipment must be added for pilots and controllers, and new procedures developed to accommodate both the tightly controlled and flexible aspects of free flight. Budget constraints within the Government may delay or slow implementation. During busy times, controllers must work rapidly and efficiently. This requires total concentration to keep track of several planes at the same time and make certain all pilots receive correct instructions. The mental stress of being responsible for the safety of several aircraft and their passengers can be exhausting for some persons. Employment of air traffic controllers is expected to show little or no change through the year 2008. Employment growth is not expected to keep pace with growth in the number of aircraft flying because of the implementation of a new air traffic control system over the next 10 years. This computerized system will assist the controller by automatically making many of the routine decisions. Automation will allow controllers to handle more traffic, thus reducing their workload 50 to 70 present and increasing the productivity.